The feature debut by director Jang Joon-hwan mixes elements of multiple genres such as comedy, science fiction, thriller and horror. The main character, Lee Byeong-gu (Shin Ha-kyun) is a beekeeper and mannequin maker, somewhat an ordinary young man. He, however, firmly believes that all of Earth’s social ills are the evil doings of aliens; unless he can meet the prince from Andromeda before the next total lunar eclipse by acquiring the “royal genetic code”, the planet will be in great danger. Byeong-gu suspects that Kang Man-shik (Baek Yoon-sik), the CEO of Yoojae Chemical Company, is an alien who has come to destroy the planet and has the code. 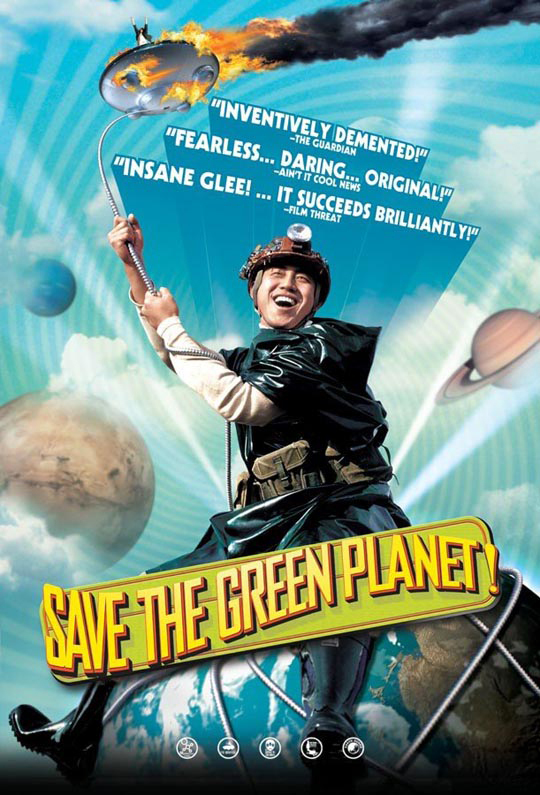 So with his girlfriend Sun-i (Hwang Jeong-min), Byeong-gu kidnaps Man-shik and forces him to reveal the information using extreme interrogation techniques, and yet Man-shik doesn’t give up so easily… Can Byung-gu save the green planet?